Gabriel Waage, born 1967 in the Czech Republic, has been involved in the ESF since 2004. He started off as the Vice President for Development, later he was the Vice President for Competitions, and he’s spent the last four years as the 1st Vice President. It was the Technical and Competitions area where Waage sees his biggest contribution to European Softball. “We’ve been able to stabilize the situation around the competitions that we organize. In 2011 we started obligatory live scoring from all ESF events. That was the moment that has advanced softball in Europe from provincial localism to globalization. We added the live streaming later. The establishment of the position of the ESF Communications Director was another step that has changed the overall approach to softball as a sport which we want to be visible,” said Waage. 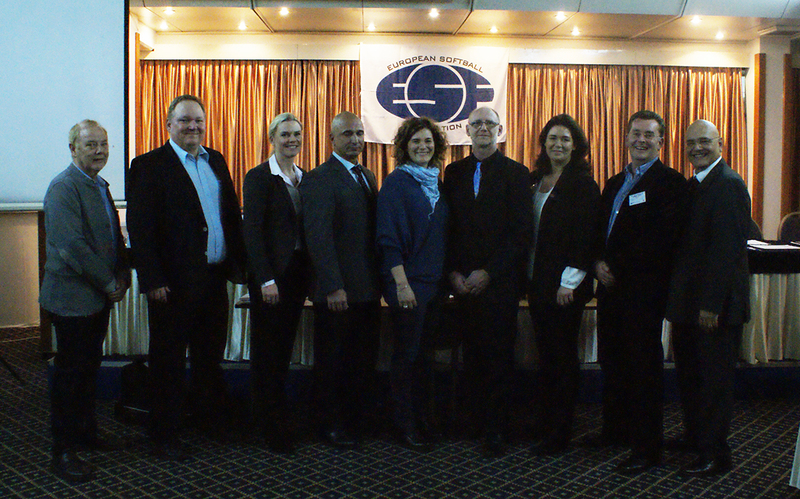 Apart from his European Softball activity, Gabriel Waage is a member of the WBSC Competition Commission. In his native country – the Czech Republic – Waage has been a Czech Softball Association Executive Council member since its foundation in 1993, he’s been the President of Czech Softball since 2002. He is currently member of the Czech NOC Executive Board, and a member of the NOC Foreign Relations Committee . As the ESF President, Waage wants to focus on marketing and promotion of softball as a sport. “I want the ESF to become a strong brand, which everybody wants to be a part of,” said Waage. “The ESF is here for the National Federations, we always want to be easily approachable and ready to assist with whatever the NFs may need. And I think the time is right to think about boosting our development with a full-time executive position. The ESF has lately kicked off a number of promising projects. The establishment of such a position would help maintain and speed up the progress of these projects,” said the newly elected ESF President. Waage was elected after Andre van Overbeek (NED), the former ESF president, ended the regulation number of two four-year terms. Election for a Secretary General, a Treasurer and six Vice Presidents took place at the same time. Ami Baran (ISR) was re-elected as the Secretary General, and Eddy van Straelen (BEL) was reconfirmed as the Treasurer.